*Some association benefits and health care programs are not available with the add-on version. Consult member guide for more information. ID Resolution offers free assistance to members who have had their personal information fraudulently used by identity thieves. Experienced fraud resolution specialists can help resolve financial, criminal and medical identity theft. 1 Accident Medical Expense Benefit does not pay for reinjury or complications of an injury caused or contributed to by a condition that existed before the Accident. 2 Accidental Death and Dismemberment Benefits are provided as shown in the Schedule of Benefits and pays the member or beneficiary up to the benefit amount listed for the member’s death or loss of certain body parts in a Covered Accident. payable. There is no Common Carrier Benefit for dependents. 3 For CA First Occurrence of Invasive Cancer pays at 100% regardless if identified more than 30 or within 30 days of the Certificate date. 4 Covered Spouse and Covered Dependent children receive a percentage of the Primary Insured’s Principal Sum, as listed in the table above. Spouse and Child coverage is not available. Meets the eligibility conditions described in the Certificate. A Member is not eligible if the Member is not actively at work on the day you would normally become eligible. Any applicable premium is due and unpaid. Age Reduction Coverage reduces 35% of the original amount at age 65; 50% of the original amount at age 70. Accelerated Benefit If a Member is terminally ill, the Member can receive up to 50% of their life coverage benefit in a lump sum as long as life expectancy is 12 months or less (as diagnosed by a physician). The Accelerated Benefit, less any administrative charge*, will be paid in a lump sum and any remaining Death Benefit under the Certificate will be reduced by the amount of Accelerated Benefit. The amount of any Accidental Death Benefit will not be affected by the payment of the Accelerated Benefit. Premium must continue to be paid for the Insured under the Group Policy after payment of an Accelerated Benefit in order to keep the remaining Certificate Death Benefit in force. Receipt of Accelerated Benefit may affect eligibility for public assistance programs and may be taxable. Please consult a personal tax advisor to determine the tax status of any benefits paid under this rider. *There is an adminstrative charge of $75 to process the Accelerated Benefit claim. Guaranteed Coverage – The maximum amount of coverage available during the initial enrollment period with no medical information required. Coverage Effective Date – The date the membership in the Affiliated Workers Association becomes effective and all required dues have been paid. Coverage Waiting Period – Coverage is subject to a 30 day waiting period. No benefit will be paid during the first 30 days of coverage. *Rates include a $7.50 monthly administration fee. One time $40 enrollment fee applies on the Stand-Alone membership only. With more than 80 years of experience in the insurance industry, Guarantee Trust Life Insurance Company (GTL) has a proud heritage of providing excellent service and superior insurance products to individuals, families and groups across the country. GTL believes in doing business the right way. They have a consistent track record of successfully delivering on their promises and preserving the trust that their partners, employees and policyholders place in them. Their mission is to be recognized as a highly-competent, mid-sized mutual insurer, who by bridging timeless virtues with current best business practices, is effective in marketing targeted life and health products across the country. Guarantee Trust Life Insurance Company’s current financial condition is the strongest ever. In 2016, GTL posted record operating gains while growing surplus by 10 percent, assets by 11 percent, reserves by 12 percent. 97% of the bonds they hold are designated “Highest Quality” (Class 1) or “High Quality” (Class 2) by the National Association of Insurance Commissioners (NAIC). Guarantee Trust Life Insurance is a mutual legal reserve company located in Glenview, IL, licensed to conduct business in 49 states and the District of Columbia. Unified Life Insurance Company is a stock life insurance company with over thirty years of experience in the fields of life, health and annuity insurance and reinsurance. First incorporated in Texas in 1986, Unified Life has been providing valuable coverage and protection to consumers for over three decades, boasting stability and a positive financial outlook (B++) from industry rating firm AM Best. From the beginning, Unified Life has focused on community service as a guiding principle. They believe in a responsibility to give back to their neighbors and to foster support for a variety of causes. The mission of Unified Life is keeping promises that have been made to policyholders. They do this by being fair, equitable and efficient and striving for the highest level of integrity. Unified Life wants to be there for policyholders when needed most. Because it’s better when you’re Unified. Since its inception in 1943, Amalgamated Life Insurance Company has made its mission to help working people and their families achieve financial security by providing affordable life, health and pension products and services while maintaining an unwavering commitment to excellence. For more than 40 years, Amalgamated Life has maintained a consistent A.M. Best “A” Rating (Excellent) – a testament to their strong fiscal condition and excellent claims-paying performance. Amalgamated Life continually strives to meet the insurance and employee benefit needs of its customers. Their role is to serve working people with the best solutions and equally important, the highest standards of service quality. Amalgamated Life is a dedicated resource for a broad portfolio of group insurance products, including: disability, medical stop loss, term life and specialty drug cost management services, as well as voluntary benefits, including: accident, accidental death & dismemberment, critical illness, dental, disability, hearing, legal and whole life insurance. Amalgamated Life exemplifies a true “Best in Class,” leading-edge insurance solution provider committed as ever to meeting the insurance needs of working men and women and their families. The Company is licensed in all 50 states and the District of Columbia. 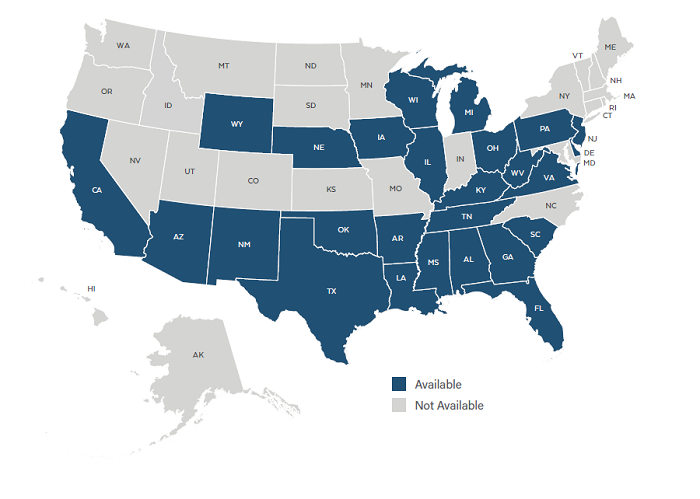 AWA ProtectAssist is NOT Available in: AK, CO, CT, DC, HI, ID, IN, KS, ME, MD, MA, MN, MO, MT, NV, NH, NY, NC, ND, OR, RI, SD, UT, VT. WA.